I’m sure you’re familiar with the traditional Hawaiian Haystacks, but here is a twist for you! It’s sweet, it’s fresh and it’s yummy! For the sauce, combine all the ingredients, except the chili garlic sauce, in a sauce pan. Bring to a boil stirring constantly. Remove from heat and add the chili garlic sauce and the cooked chicken pieces. 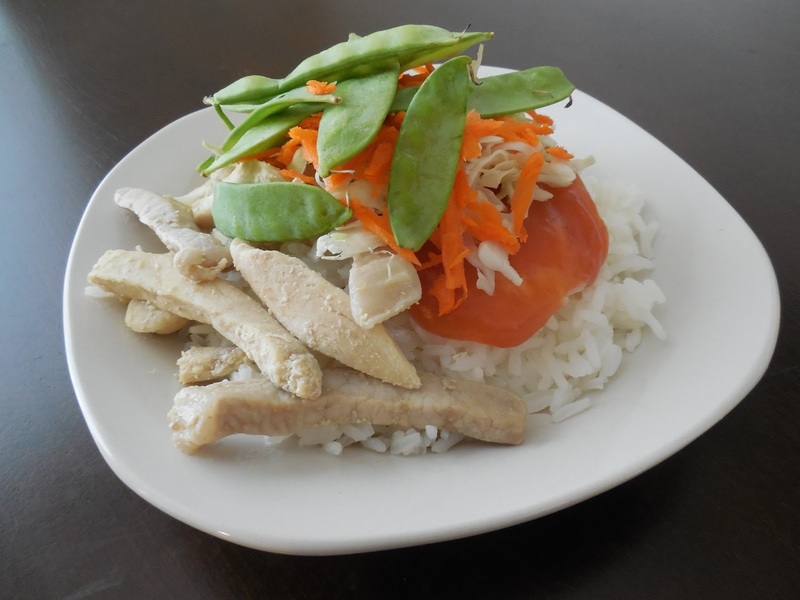 Serve the chicken sauce over rice and top with carrots, cabbage and snow peas.